Gov. Greg Abbott may not attend the Republican National Convention after suffering severe burns during a family vacation in Wyoming. Abbott's office revealed Sunday that he had suffered "second- and third-degree burns" when he was accidentally scalded with hot water Thursday at a lodge in Jackson Hole. Abbott decided to cut short the vacation hours later when he learned about the shooting in Dallas that left five police officers dead and seven others wounded. The incident, first reported by the Austin American-Statesman, has cast uncertainty over whether Abbott will attend the Republican National Convention, which is being held July 18-21 in Cleveland. Abbott is an at-large delegate to the convention. It is also unclear whether Abbott will be able to participate in a memorial service Tuesday in Dallas featuring President Barack Obama and his predecessor, George W. Bush. "Everything right now is up in the air," Abbott spokesman Matt Hirsch said. "We're really taking it day to day, hour to hour." More information about Abbott's condition is expected Monday after he sees a specialist at Brooke Army Medical Center in San Antonio. Abbott went to the hospital in Wyoming immediately after the incident, and since then, he has been receiving treatment at St. David's Medical Center in Austin. Hirsch declined to comment further on the circumstances surrounding the incident. He said it left Abbott with "shooting sensations of pain in his leg" when he arrived Friday afternoon in Dallas for a news conference and round of media appearances. 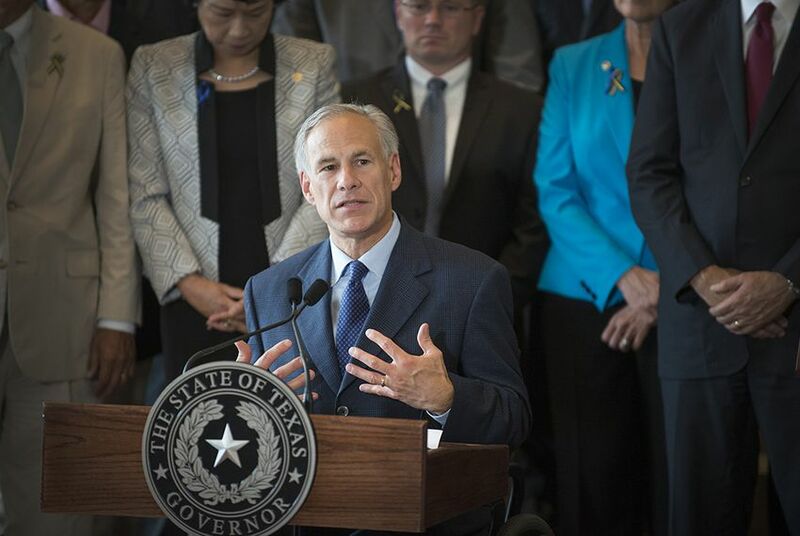 Abbott's aides emphasized Sunday that his focus remains on the aftermath of the massacre. "When he learned about Dallas ... his first words were, 'I've got to come back,'" Hirsch said. "The governor's first priority was Dallas, and that's still his first priority."